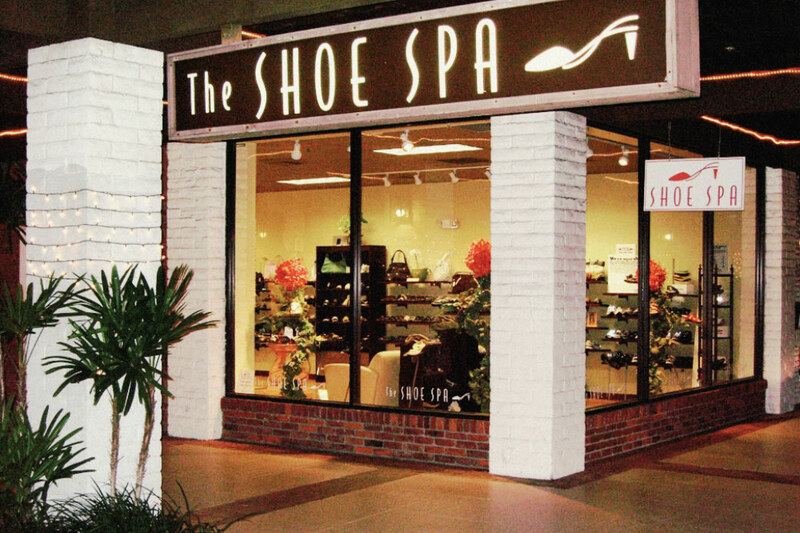 Not your grandmother’s comfort store, The Shoe Spa in Palm Beach Gardens, FL, is a soothing shopping escape. Not only did Beth Weingarten enter the retail game later in life than most—in her mid 50s—she had no intentions of ever doing so when she settled in Palm Beach Gardens, FL, in the mid ’90s. She and her husband, John, had moved to the Sunshine state to retire, but a few years into their life of leisure the seed to open a shoe store was planted—first by their son, Brent, a sales rep for Naot, and soon after by another industry rep and friend of his who lamented that there were no good shoes stores in the area. The entrepreneur gene in Weingarten was awakened, plus retailing ran in her veins. Her mother had started a jewelry store out of their family home when Weingarten was two years old, and it’s still thriving today under the stewardship of her nephew. Growing up in a store (literally) rubbed off on Weingarten as she, along with her husband and son Michael, have created a luxury comfort shoe shopping experience where top-notch service, a cozy living room setting and unique selection blend together seamlessly. Now in its thirteenth year and sales north of $1 million annually and growing, the 2,400-square-foot women’s boutique and online component (shoespausa.com) features, as its home page states, a selection spanning “classic to modern, sophisticated to funky and a little bit of whimsy” and drawing an equally eclectic clientele. What customers won’t find, Weingarten assures, are shoes that may look great but aren’t practical, or ones that may be super comfortable but are just plain ugly. The Shoe Spa sits at that elusive crossroads of style and comfort. Weingarten’s basic buying philosophy is that every shoe must feel as good as it looks, and it’s on her to find them for her customers. It’s a process that involves a blend of learned-on-the-floor acumen and gut instinct. Customers, she says, offer the best feedback. To ignore it is to buy blind. In addition, her eyes are always peeled, looking for design influences that could be translated to shoes—like scouting the furniture market for up-and-coming colors and traveling the globe for inspiration. But practicality remains at the forefront of all her buys. “When I look at high-end magazines, I rarely see anything I can buy,” she says, mindful of her target demographic that ranges in age from thirtysomethings to over 100. “It’s all a fantasy and none of it translates well to streetwear.” Her customers, in contrast, live in the real world. They must be able to wear the shoes often, meaning they must fit properly. But they should also want to wear them. Like any retailer worth his or her salt, Weingarten is all about the product—and offering plenty of it. The selection currently spans about 40 brands, including comfort stalwarts like Naot, Gabor and Taos as well as L’Amour Des Pieds, Fly London and Salpy. Top sellers of late include Naot, BeautiFeel, Paul Mayer, Thierry Rabotin and Salpy, with Arche quickly climbing the ranks. In the last year, Weingarten has added niche players like U-Dot out of Japan and Ilse Jacobsen, whose comfortable, affordable styles are some of the most copied in the market, she says. “They’re at a lower price point, comfortable and adorable,” she says, noting the Tulip, a lightweight, perforated slip-on, has been on fire. Weingarten adds that while many of the labels carried by The Shoe Spa aren’t commonly known, that’s okay because it’s their job to educate shoppers why they are worth wearing. That’s not all that Weingarten heard at the onset. Her friends were not enthused by the idea at all. As in, “Ew, you’re opening a ‘comfort’ shoe store?’” But a typical sit-and-fit comfort store has never been the Weingartens’ intention. “The Shoe Spa is not your grandmother’s comfort shoe store,” she says, proudly. Along those lines, Weingarten instructs her staff, despite the fact that they work on commission, that it’s better a customer leave without making a purchase if the alternative is buying a pair that doesn’t fit properly. “You can’t be driven just by money. You have to make the sale the right way—you have to sell the person what they need,” she says. Similarly, if a customer buys a pair at full price and needs an adjustment, the store will send it to a shoe repair shop and have the alteration done at no charge. “We really try to make shopping here a special experience,” she says. Where does Weingarten envision The Shoe Spa in five years? For starters, in the capable hands of her son. She’s comforted knowing he has the social media marketing skills and online retail savvy to grow the business further. (Currently, online represents 10 percent of overall sales.) And while she has no immediate plans to exit stage right, Weingarten could see herself having transitioned into a semi-retirement role by then.